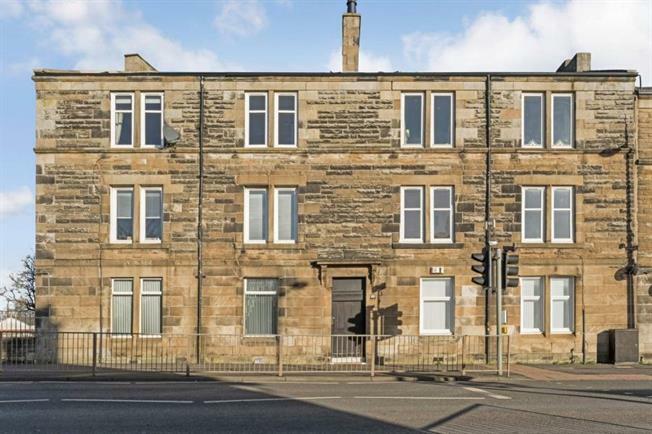 2 Bedroom Ground Floor Flat For Sale in Glasgow for Offers Over £50,000. This ground floor sandstone property is offered to the market close to local amenities and transport links. The property comprises of entrance hallway with all main apartments leading off. The great size lounge has excellent space and aspects to the front of the property. Both bedrooms are double in size and will not disappoint in size with bedroom one being set to the rear of the property and bedroom two to the front. The dining size kitchen has a range of base and wall mounted storage units with oven hob and hood with aspects to the rear. Furthermore the property has gas central heating, double glazing and communal gardens to the rear.